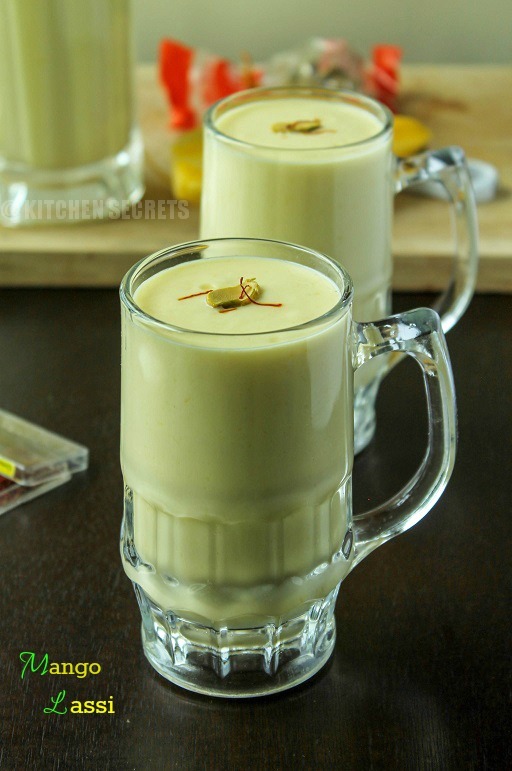 Mango lassi : Ripe mangoes are blended with fresh, thick yogurt and enriched with cream/malai makes a delicious drink for this hot summer. In a blender add the diced mango cubes, sugar, cardamom powder and blend until it is thoroughly mashed. Dump in the yogurt and give it a whip , just to combine. Add the cream and fold in using a spatula. 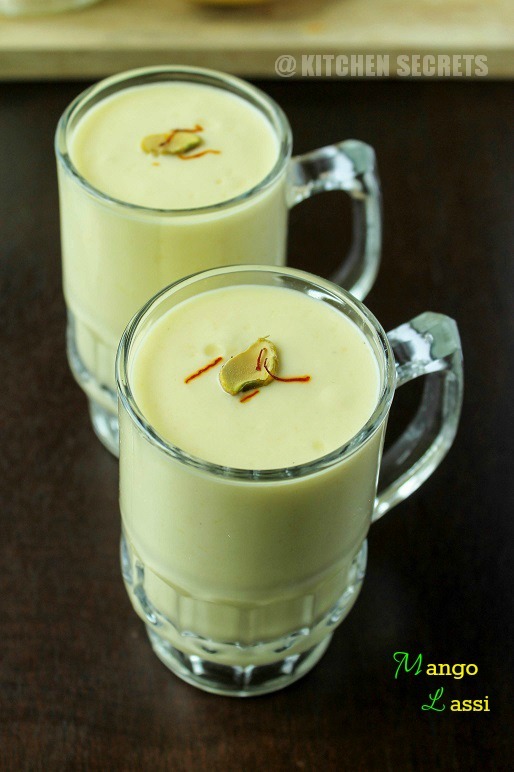 Pour the mango lassi on to the serving glass and top with roasted nuts of ur choice , garnish with saffron and drizzle of cream on top. This measurement would yield a smooth consistency of lassi, definitely not thick. Add more yoghurt if the lassi is thick. Folding some cream in the lassi makes it more rich and yummy instead of just putting as topping. 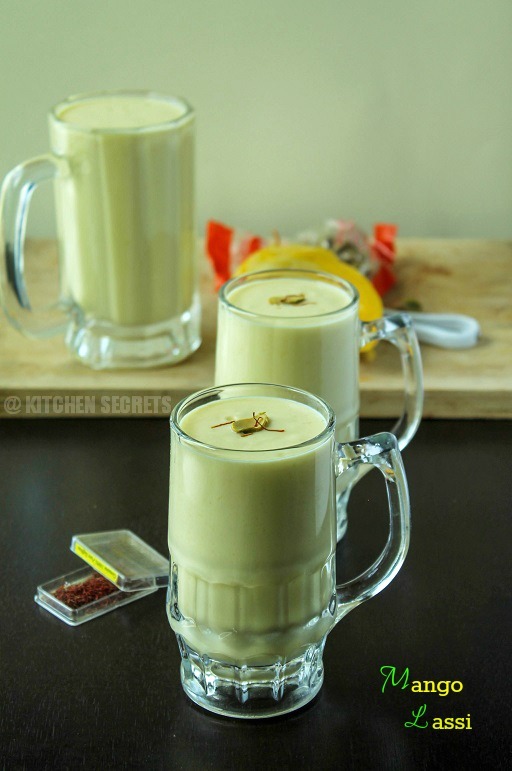 Very delightful and pretty attractive Lassi.